Keeping your feet on the trail is no easy tasks. The average trail is filled to the brim with pitfalls like muddy patches, roots, rocks, and sudden changes in slope. While most of us wouldn’t ever think it a good idea to go for a long hike wearing flip-flops, many people hit the trails improperly shod with potentially disastrous results. While you might be able to complete a short day hike or mountain jog equipped only with a pair of sneakers or running shoes, more intensive adventures require a specific type of footwear to ensure a fortuitous hike. For those of us that like to go off the trail or even have the guts to summit distant mountaintops, a quality pair of the best hiking shoes for women is essential. Different hiking shoes are made for different circumstances and varying types of women. Therefore, the definition of the perfect hiking shoe will vary widely for each individual. While some women might want extra support, others prefer their shoes to be lightweight. And while for some women hikers durability is the highest priority, others want shoes that are breathable and that focus more on comfort. Some shoes are designed for the less-intensive conditions of a casual day hike, while others are designed to withstand the rigors of multi-day off-trail hiking. 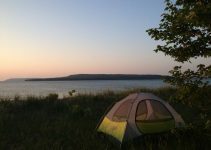 To make sure that you end up with the shoes that are right for you, it’s essential that you carefully consider the features that are available with each pair of hiking shoes. Most hiking shoes include at least some amount of leather, but others are made entirely from synthetic materials to allow maximum breathability. While some full-height hiking shoes are available, most hiking shoes on the market today are either mid-height or low-height. Mid-height hiking shoes go up above the ankle to provide extra support and thermal insulation. Low-height hiking shoes stop just below the ankle to ensure maximum maneuverability and minimal weight. Some hiking shoes are equipped with waterproof liners to keep your tootsies high and dry no matter what the weather may bring. Picking the pair of shoes that are equipped with the best type of outsole for your needs will also make a big difference in on-the-trail performance. Simply put, some outsoles are better than others and provide superior traction when compared to other options. The midsole of a hiking shoe is just as important as the outsole when it comes to durability and performance. Most midsoles are made of standard EVA foam, but some midsoles are made of more advanced materials that provide better support and are more durable. In general, it’s important to compare all of the features of the hiking shoes that you’re considering. Make sure that you end up with the best hiking shoes for women that satisfy your personal needs. Hiking shoes are the only type of footwear that is designed explicitly for the trials that the trail brings. While other types of shoes might do for the occasional hiker, if you’re hitting the trails on a daily or weekly basis you’ll want to equip yourself with a well-made pair of the best hiking shoes for women to make sure that you’re ready for anything. Hiking shoes are packed with features that protect your feet in any weather conditions making them the ideal choice for the kind of hiker that is determined enjoy the great outdoors in rain or shine. This option from Merrell features a smidgen of leather in a web-shaped formation to provide strength to the overall form of the shoe. The rest of the upper portion of the shoe is constructed of breathable mesh to provide enhanced comfort. The Merrell Women’s Moab Edge Hiking Shoe is fitted with a Vibram sole to provide great traction on any terrain, and this shoe is also constructed with an M-SelectFIT EVA midsole that offers comfort and excellent kinetic energy return. The footbed is equipped with M Select Fresh technology that disrupts the growth of odor-causing microbes to provide long-lasting freshness. The overall build of the Merrell Women’s Moab Edge Hiking Shoe is highly attractive and blends the best aspects of leather and mesh uppers to provide a very comfortable-looking shoe. This hiking shoe is probably best suited for arid climates since a heavy reliance on mesh makes effective waterproofing impossible. There are approximately 100 reviews of this product on Amazon, and the vast majority of reviews are favorable. One negative reviewer commented on a perceived lack of arch support. Though the price is a little steep, the Merrell Women’s Moab Edge Hiking Shoe looks like a good buy. 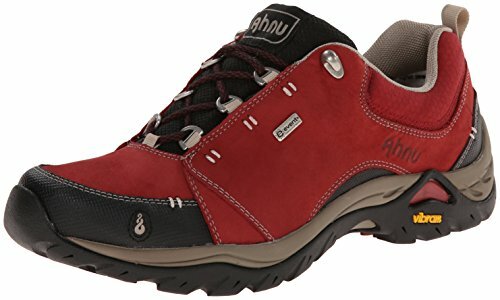 This hiking shoe from Ahnu features a sleek leather upper that looks highly durable. The actual composition of the upper portion of the Ahnu Women’s Montara Breeze Hiking Shoe is 85% leather and 15% textile. The area over the toes is made of mesh, providing breathability to what would otherwise be a very constricting shoe. This shoe features a Vibram outsole, which is a type of advanced sole that is studded with irregular lugs to provide excellent traction. The Ahnu Women’s Montara Breeze Hiking Shoe is low-cut and is designed with a standard EVA midsole footbed. A body comprised almost entirely of leather provides this hiking shoe offering with a sleek and subdued look that sets it apart from racier-looking options. This product enjoys a 4.4-star rating on Amazon, and almost all of the reviews are positive. The lone negative reviewer complains that the shoes are uncomfortable, which is more of a subjective opinion than a relevant critique of the shoe design. Overall, a solid buy that is more waterproof than many competitors. The Ahnu Women’s Calaveras Waterproof Hiking Shoe is equipped with a waterproof membrane to augment the waterproofing provided by the leather upper construction. The marketing material for this shoe makes sure to point out that the design is breathable multiple times. While this might be true, don’t count on it. The objective of the Calaveras is obviously to keep your feet dry with breathability taking a back seat. This shoe is fitted with innovative Vibram outsoles for maximum traction and is equipped with a removable EVA footbed. Removable footbeds are a big plus since EVA can compress over time. If the footbed is removable, you can discard the old EVA and insert a replacement, increasing the life of the shoe. 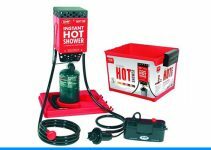 Reviewers seem to like this product, with satisfied customers reporting their satisfaction with the efficacy of the waterproofing. Negative reviewers seem dissatisfied with the comfort level. One reviewer complained that the shoes are too noisy, which only seems like a legitimate issue if you’re planning on taking a lot of hikes indoors. The Lowa Women’s Renegade II GTX LO Hiking Shoe is a high-end hiking shoe that is among the more expensive options on this list. It features Monowrap midsole technology that reduces weight while providing lateral stability and cushioning. This hiking shoe is equipped with a Vibram outsole and a breathable Gore-Tex lining. This offering from Lowa also includes a full-length nylon shank that provides enhanced stability. The uppers are constructed from leather. While this product seems to be very well constructed, the price might raise some eyebrows. Also, not all of the reviewers are pleased with their purchase. Many reviewers comment that the build of the shoe is too narrow or that the shoe is less comfortable than other offerings from Lowa. 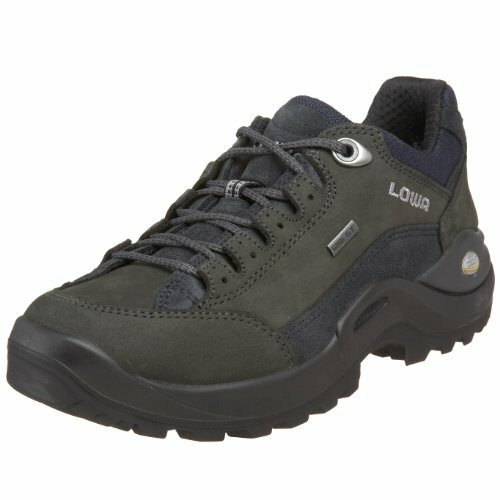 However, plenty of reviewers are completely satisfied with the Lowa Women’s Renegade II GTX LO Hiking Shoe. This shoe might not be for everyone due to the price, but it does seem to be very carefully designed. The upper section of this hiking shoe from Salomon is constructed from a combination of Nubuck leather and mesh. The general look of this mid-height shoe is quite striking; brightly colored accents permeate a striated design that terminates in a heavy-duty toe guard. The tongue is gusseted to protect your feet from dirt and debris, and the waterproof bootie construction keeps your feet high and dry in any weather conditions. Contragrip outsoles complement Salomon’s Advanced Chassis technology, and injected EVA midsoles provide you with extra cushioning and high energy return. 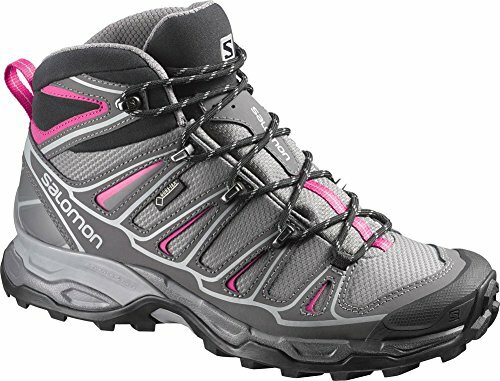 There are nearly 400 reviews of the Salomon Women’s X Ultra Mid 2 GTX Hiking Shoe on Amazon, and almost all of them are glowing. The negative outliers report various subjective qualms with the design. One negative reviewer states that the shoelace broke on the first usage. These shoes are pretty pricey; make sure to do your homework before taking the plunge. These low-cut hiking boots from Merrell are fitted with a Gore-Tex bootie to provide comprehensive waterproofing. They also feature Vibram outsoles for traction and M Select footbeds for freshness. 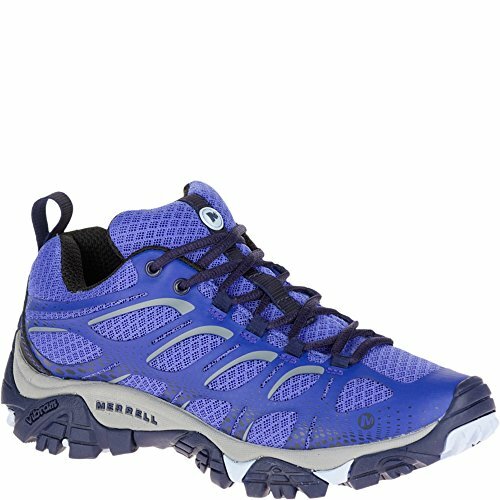 The Merrell Women’s Capra Sport Gore-Tex Hiking Shoe is equipped with Uni-Fly impact absorption to save your knees on the descent. There’s also a nylon arch shank for extra stability. 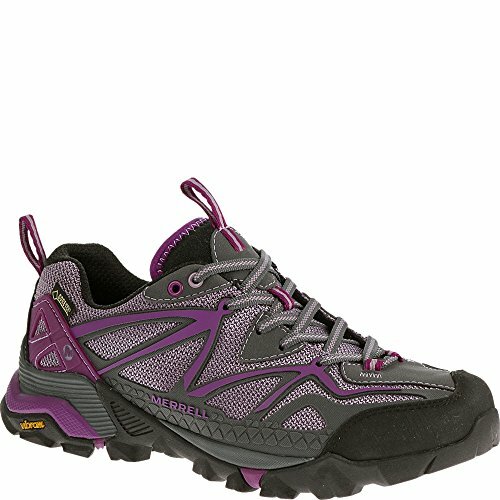 Like most shoes produced by Merrell, the Merrell Women’s Capra Sport Gore-Tex Hiking Shoe is quite pretty. Available in three colors, a mix of leather and mesh on the upper section imparts a distinct and eye-catching aesthetic. 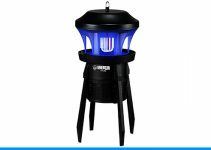 There are around 60 reviews of this product on Amazon, with most customers reporting total satisfaction. The smattering of negative reviews focus mainly on fit issues and do not raise any serious concerns over quality. Small and lightweight, the Merrell Women’s All Out Blaze Hiking Shoe is the perfect option for a fast-paced hike in dry conditions. These shoes feature Uni-Fly technology for maximum impact absorption, Vibram outsoles for enhanced traction, and E-foam midsoles for comfortable cushioning. The upper section is a mixture of leather and mesh. These shoes seem to be incredibly lightweight, which is a bonus if you’re a trail runner or an avid day hiker. If you’re looking for shoes that can withstand torrential rain or multi-day backpacking trips, you might want to look elsewhere. Reviews of this product on Amazon are highly favorable. 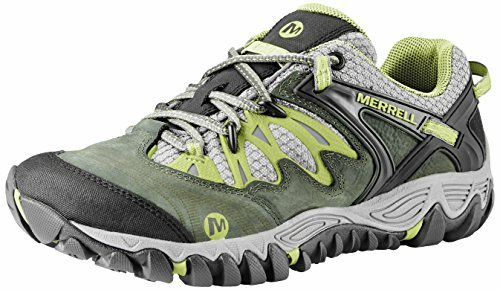 Positive reviewers praise the comfort and durability of the Merrell Women’s All Out Blaze Hiking Shoe. Most of the negative reviewers dislike the fit of the shoe, but one negative reviewer was apparently sent a defective shoe. Overall, these shoes seem like a great buy from a respected company. These heavy-duty low-cut shoes from Vasque feature an upper that is constructed from WP Nubuck leather and mesh textile. They include Vibram Contact outsoles that provide excellent traction on any surface. The heel measures about 1.5 inches, elevating your feet for enhanced pumping power. 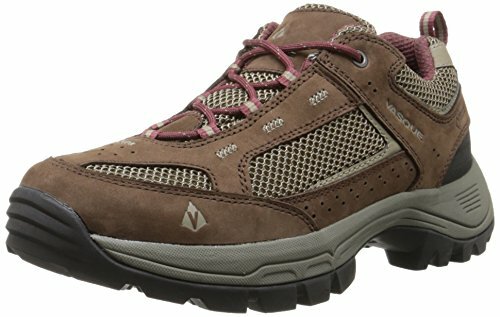 The Vasque Women’s Breeze 2.0 Low Gore-Tex Hiking Shoe is equipped with a Gore-Tex bootie for weather resistance. With a thicker-than-usual midsole, these shoes undoubtedly provide extra cushioning in the heel region. However, they end up looking somewhat clunky due to the extended heel. 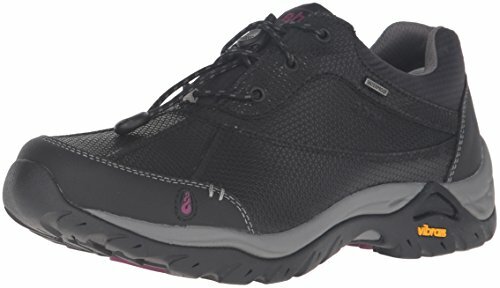 The Vasque Women’s Breeze 2.0 Low Gore-Tex Hiking Shoe has a 4.0 rating on Amazon, with positive reviewers commenting on the effective waterproofing and all-around comfort of this shoe. Negative reviewers are mainly displeased with the design. Quality does not seem to be an issue with this shoe, and it is marketed at a reasonable price. One of the distinctive features of the Ahnu Women’s Montara II Hiking Shoe is the Aegis antimicrobial technology that eliminates nasty organisms before they can achieve a foothold. This low-cut shoe is also equipped with a thick midsole that is capped by a sturdy Vibram outsole. The Ahnu Women’s Montara II Hiking Shoe is outfitted with Numentum technology, which provides superb stability on any surface. The upper section is constructed entirely from leather for maximum waterproofing. Since this shoe is available in a wide array of colors, it’s easy to find a model that fits your taste. Out of nearly 600 Amazon reviews, only a handful are critical. Negative reviewers complain that the quality of Ahnu shoes seems to have decreased over time. Positive reviewers praise the arch support and waterproofing of this hiking shoe. While Keen is most widely known for its sandals, this hiking shoe seems like a solid foray into the closed-toe market. The upper is constructed from waterproof Nubuck leather and textile mesh. The sole is rubber and is 1.5 inches thick at the heel. The EVA footbed is removable, allowing you to replace it with an insert of your liking. Interestingly, the toe of the KEEN Women’s Durand Low Waterproof Hiking Shoe, ostensibly to provide a more ergonomic step pattern. The look of this shoe is certainly distinctive. Not only does it bear the iconic Keen “warning” symbol, but the design is uniquecompared to other hiking shoes. Reviews of this product on Amazon are generally positive. With positive reviewers praising the traction and arch support provided by this shoe. The problem experienced by most of the negative reviewers appears to be sizing. 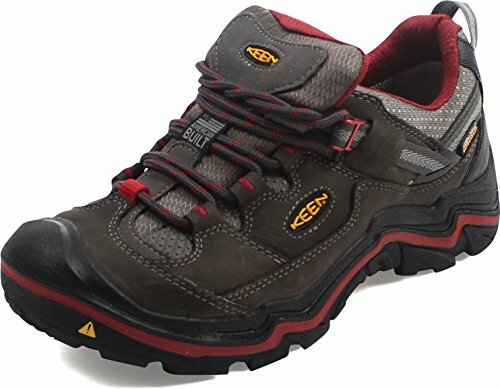 The price of the KEEN Women’s Durand Low Waterproof Hiking Shoe is comparable to similar offerings from other brands.